Discussion in 'GPS Tracks - Central, Texas & Gulf States' started by Cannonshot, Jun 12, 2014. 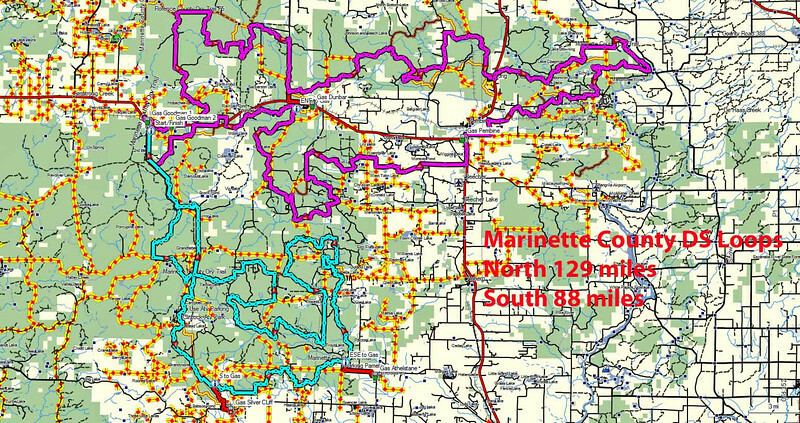 This file contains two dual sport loops in Marinette County in NE Wisconsin. One loop is 129 miles and the other is 83 miles making for a nice weekend ride. Surfaces in this area include sand, gravel, rocks, and dirt with some pavement connectors. The north loop is 129 miles long and runs from Goodman to the Menominee River and back. It uses forest roads and ATV trails. Some segments of ATV trail are closed to motorcycles in this area and the track accounts for these by using go-arounds. 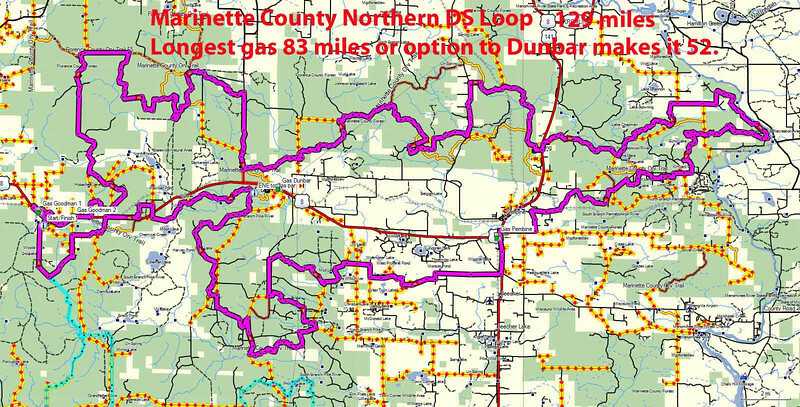 Longest gas on the north loop is 83 miles. A side trip to Dunbar (off-track a short distance) cuts that down to 52 miles. The south loop is 88 miles long. Gas can be obtained off-track at about 24 or 36 miles. 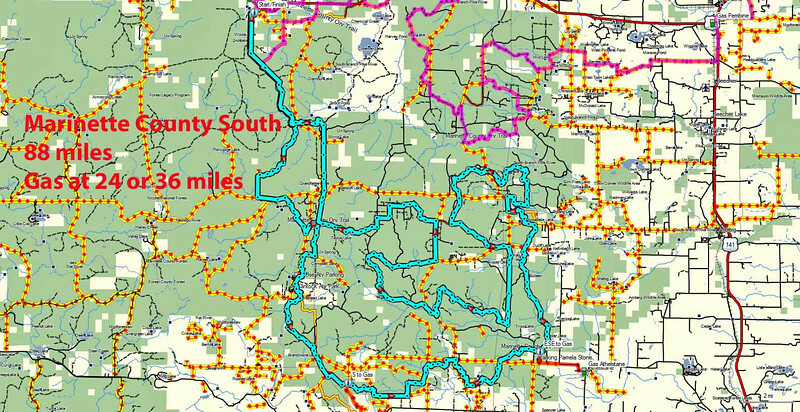 This route uses a combination of forest roads and ATV trail. Previously downloaded 1642 times from a prior private site. I don't understand why you can't ride 2 wheels on atv trails, oh well. Wi is dumb... I'm up in Iron Mountain, i'll have to check out one of these loops this fall. Thanks again to Cannonshot for providing some great tracks to use. I for one certainly appreciate all of your efforts. The old gas station in Dunbar is closed, but the tavern just to west offers gas now. He put a tank and pump in his parking lot on the north side of the road across from the bar. That is the one I have waypointed. One might not see it if they didn't expect it. Glad you enjoyed the ride there.